Infographic maker is a tool, and we all know how important data visualization is for a presentation or as a tool to drive traffic to your website. For example, in order to make the best infographics for this webiste and get the attention of our audience we need to have the best visualization software. Regular 2D graphics are not as potent as before, and they can’t cover all the key aspect of contemporary analytics. This is why in this article we shall go through some of the best infographic maker solutions on the market. In case you need an infographic solution for your presentation and you don’t have the time to create all the elements by yourself and spend a lot of time on a process that actually needs to save you some time, you need one of the selected templates on this list. Brilliant graphic design, a lot of different elements to use and all fully available for customization. A large database holds 100% vector images you can use the infographic to create your presentation just the way you want it. Imagine yourself just a few hours before a big corporate meeting where you need to present some market analysis data in front a room full of executives. You want your presentation to look sharp, professional and trustworthy. 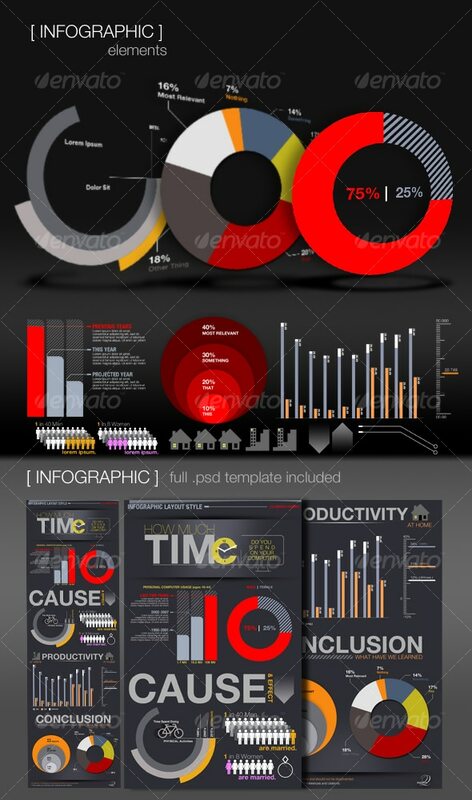 This pack holds one of the best infographic creator elements you can find anywhere on the market. All you need to present your data as it builds and changes. 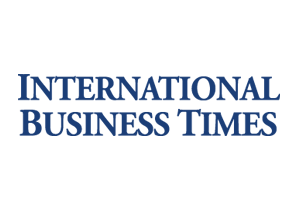 This means that all of your graphics are live and constantly showing the most up to date results. All the graphic solutions are fully customizable, anyone with a basic knowledge of Adobe Illustrator could finish the job. 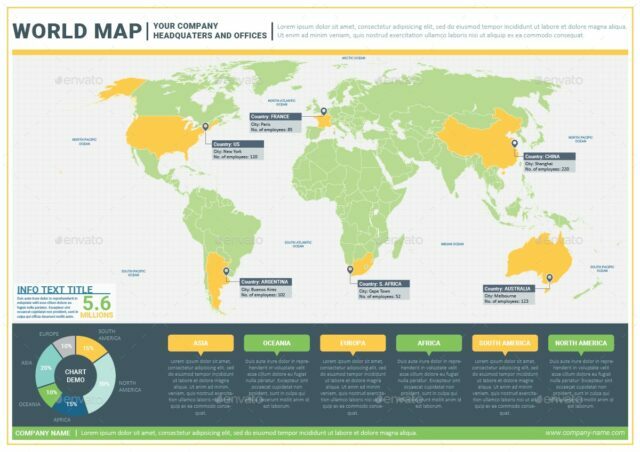 World map is a specific kind of infographic design template. It gives you the possibility to manipulate the world map and present your data in such a detail that you could even present specific cities and regions of the world. Each part of this infographic is separated into its own layer, which gives you full access to every part of the world map. Per example, if you want to show your data for a specific city in Argentina, there is no problem. This is an amazing piece of software and has great features some of them including live charts, detailed and accurate shapes, etc. Fresh clean look, a lot of various vector images, fully customizable icons and charts, these are all the reason to acquire this software. It offers the opportunity to present your work using a modern and sharp graphic solution. When it comes to infographic maker templates, this surely has everything you could ever need in order to make a professional presentation. All types of live charts and graphs, world map and all that available for customization is the reason why this template is on our list. And it should also be on yours. 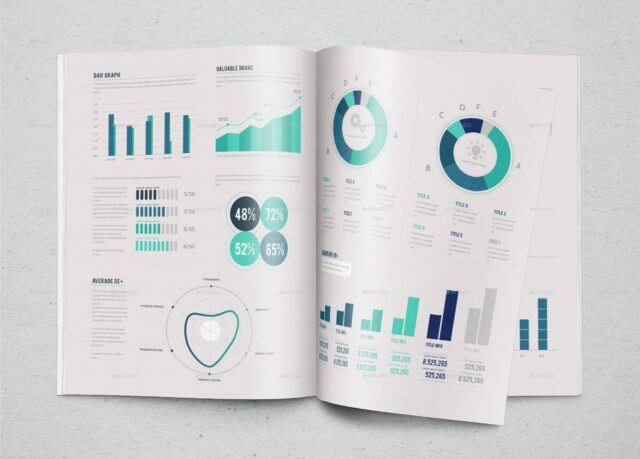 This is a unique infographic design template that offers anything you could use in order to present your data in the best way possible. It does not matter if you are using it for presentations, web sites, brochures or any other reason you can think of. Every element is presented in separate layers, and everything is available for resize, recolor, re-purpose. You can use the same element for different data, which gives you the freedom to arrange your presentation just the way you want it to be. Needless to say that the graphics are very modern and have a beautiful design. All in all, the best way to present your work. With this one, the name is self-explanatory, it is a big pack of infographic templates. How big is it? Well it offers a wide array of features, some of them including over 1000 unique vector elements. There’s everything you need in order to create a great presentation or infographics. The data will be presented in the best way possible. All the icons are fully customizable, everything is separated in layers. This means that with a basic Illustrator knowledge you could create the best infographic for your presentation. 100% Editable shapes, colors, text, etc. As you can see nothing is left to chance with this pack, you have the option to choose between three different vector file types. This gives you a lot of maneuvering space depending on your preferences. All the elements are grouped in layers which allows you a full customization of each element. All you need is some creativity and Adobe Illustrator. It is an amazing and easy to use infographic solution designed to support any kind of data visualization you might think of. If you need an infographic maker that gives you the freedom to change the shape and size of vectors without the loss of quality, then this should be your natural choice. 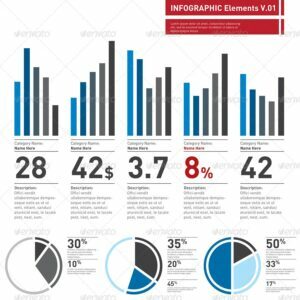 Wide array of infographic elements that will make your data visualization easy and precise. You can edit and customize everything it offers, charts, ribbons, graphs, etc. 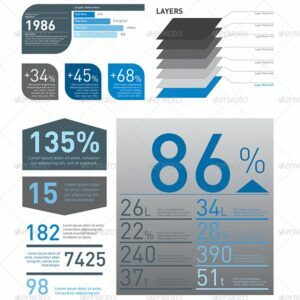 All the elements are separated into layers and this gives you the ability to use your Illustrator kills to create your own infographic style. The last on our list but don’t let the position on the list confuse you into thinking that this is at all the worst of the lot. This pack holds over 30 icons you can use it in any way you want, and they are all customizable. With charts that offer you comparative analysis of any data you desire, this is a powerful infographic tool, have no doubt about it. It offers an extensive library of various elements such as charts, vector shapes and other. Creating a small business presentation using this product will be a real pleasure. We have seen some great infographic maker templates. All of these sets are easy to use, even if you are not an experienced user. We tried to give you the best solutions available on the market that would give you a modern and sharp infographic design. In case you think that maybe we missed some other useful tool, please let us know in the comments section. Also, let us know about your experience with infographic tools, we would love to read it.